This is the online home of Andy Williamson. Click here to see my email address Call/text me in the UK on 07980 680052, or from outside the UK on +44 7980 680052. Put your email in the box on the right for accasional friendly missives. Your email will never be sold or given away. Lessons: Jazz, Sax, Singing, More are all possible. Give me a call or send an email. 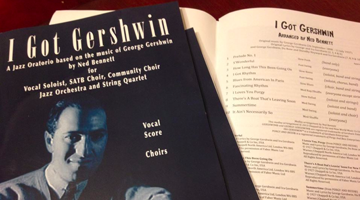 The World premiere of Ned Bennett's new creation: 'I Got Gershwin', a Jazz Oratorio for Choir, Chorus, Soloist, Big Band and Strings is at the second Bristol Jazz Festival on Saturday 8 March at 2.30pm. 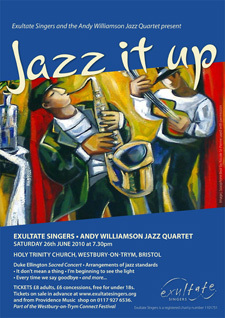 More here on the Bristol Jazz Festival site and you can book tickets there. If you're interested in bringing 'I Got Gershwin' to a another festival or venue, here's more about how that can happen..
We're played at the Pleasance's spectacular Fringe Venue "Ghillie Dhu", in the heart of the city, dripping with chandeliers, red velvet, intimate booths, and everything you could wish for in a late night Edinburgh Jazz Den. Denbone Walkers @ Ashburton Blues Festival. A Tribute to T-Bone Walker featuring Denny Ilett on guitar, Andy Williamson on sax, Greg Cordez on Bass, Ben Cummings on trumpet and Daisy Palmer on drums. A return visit to Westbury on Trym church with the glorious voices of the Exultate Singers. THe programme was broadcast on Sunday 3 May. 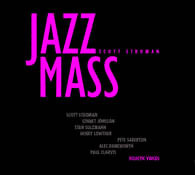 The Andy Williamson Buzztet returned to bewdley to perform Scott Stroman's Jazz Mass on Sunday morning with the choir of St Anne's Church as part of their festival service. As Scott was busy at another concert, Andy spent the previous day with pianist Robin Holloway in Bewdley rehearsing the choir. Scott arrived on Sunday morning to direct the choir and the band. 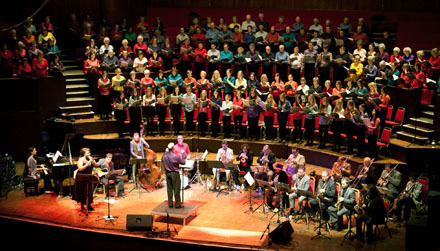 The Big Buzzard band joined with the Exultate Singers of Bristol to perform this wonderful music by Duke Ellington, with it's theme of 'Freedom' to commemorate the bicentenary of the abolition of slavery. The concert featured the exquisite talents of Jacqui Dankworth (left) on vocals, and Zoe Rahman (right) on piano. 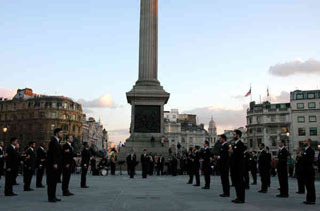 On 3 & 4 March 2006, the Big Buzzard Horns performed in Trafalgar Square as part of a piece of performance art by Reza Aramesh. He based it on the Changing of the Guard ceremony, with the soldiers replaced by a group of 2nd generation immigrants to the UK. The Andy Williamson Buzztet and Jonathan Cairney appeared for two nights at London's Pizza on The Park. 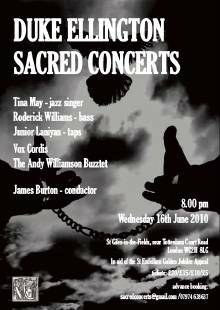 Thursday 20th May 2004 - Duke Ellington's Sacred Concert live on BBC Radio 4 The Big Buzzard Boogie Band expanded to 18 musicians, and were joined by the Exultate Singers and members of the BBC Daily Service singers for the broadcast, live from St Martin-in-the-Fields in London. On Saturday 1 June 2002, the Big Buzzard Boogie Band were among the performers at Buckingham Palace for the Queen's Golden Jubilee Celebrations.